The Oglesby Library Board is pleased to announce the hiring of our new Library Director, Rebekah Clark. 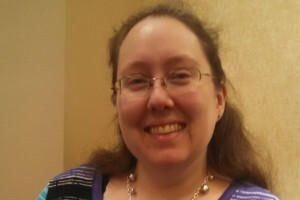 Prior to joining the Oglesby Library, Rebekah was on the staff of the Illinois Valley Community College library. She has also worked as the district librarian of the Streator Elementary School District. She earned her degree in Library and Information Science from Dominican University in River Forest. Rebekah resides in Oglesby with her husband, Jack. She is interested in reading, math, and youth services, and she wants to help to make the library the heart of the community. Please stop in and introduce yourself to Rebekah; she is excited to join the library team and serve the patrons of the Oglesby Library.